VPN Unlimited is a capable service that needs to improve its Windows interface, but the speeds are good and it works with Netflix too. KeepSolid’s VPN Unlimited is interesting. It’s a typical VPN service, to be sure, but the company appears to see it as one service in a larger toolkit. In addition to VPN Unlimited, KeepSolid offers a roadmap planning app, an eSignature solution, a privacy-centric browser for mobile, and other services. As a standalone service, VPN Unlimited is pretty good. The Windows app could stand to be a little more functional, however. When you first open it up, VPN Unlimited shows you a map with your current location (at the country level) and your IP address. 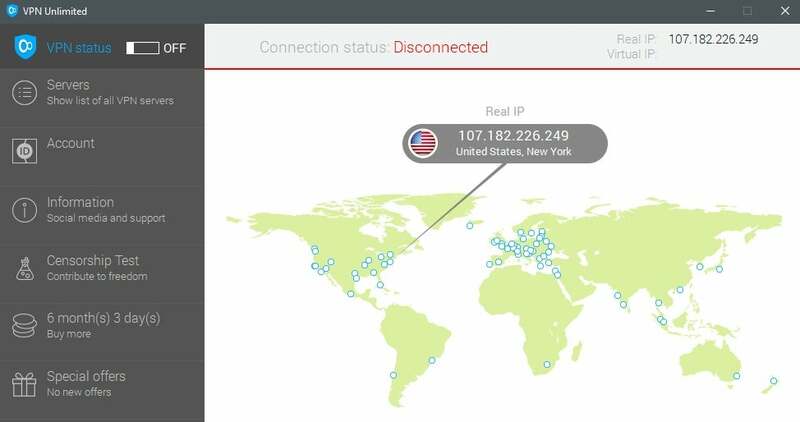 Once you choose a VPN connection, the map changes to show your real IP vs. VPN IP. The default view of VPN Unlimited. There are also a number of blue dots on the map showing all the various country locations that VPN offers. Unlike other VPN services, however, you can’t click on these locations to change server locations. The map is purely informational, not interactive. To get to the servers, you have to select Servers from the left rail to see a list of all the various server locations VPN Unlimited offers. Many services use such a list to show the ping response time between you and all the various servers. VPN Unlimited uses it to show each server location’s workload percentage. That allows you to choose a server that is the least busy in the location you want. VPN Unlimited isn’t the only service to display this by any means, but it’s not as common as the ping response time. 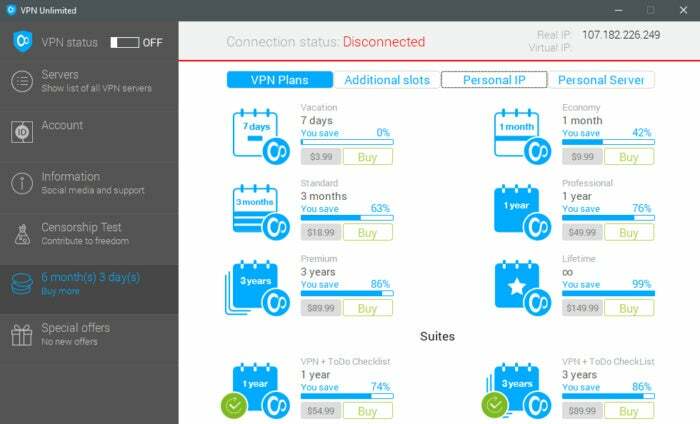 The rest of the interface is more about managing your VPN account. The Account section is where you’ll find the closest thing VPN Unlimited offers to a settings section. 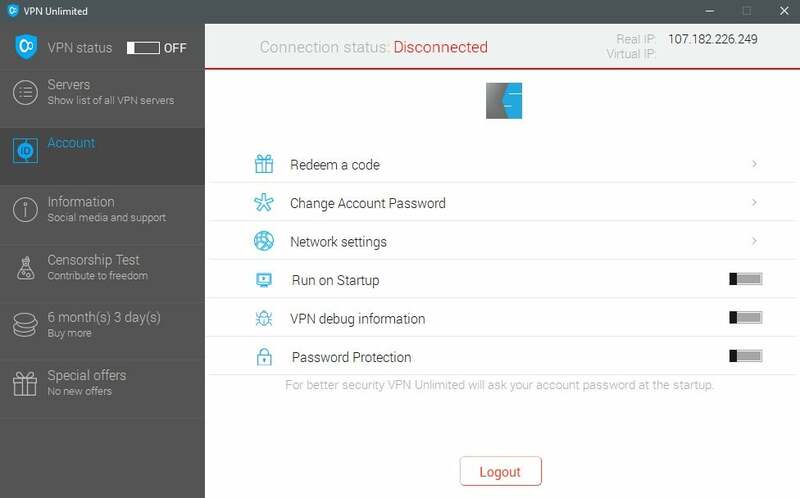 Here you can change the VPN protocol, with OpenVPN selected by default; you can also choose whether to start the app at boot time, and password protect the app. Next is an Information section where you can find VPN Unlimited’s social media and support links. 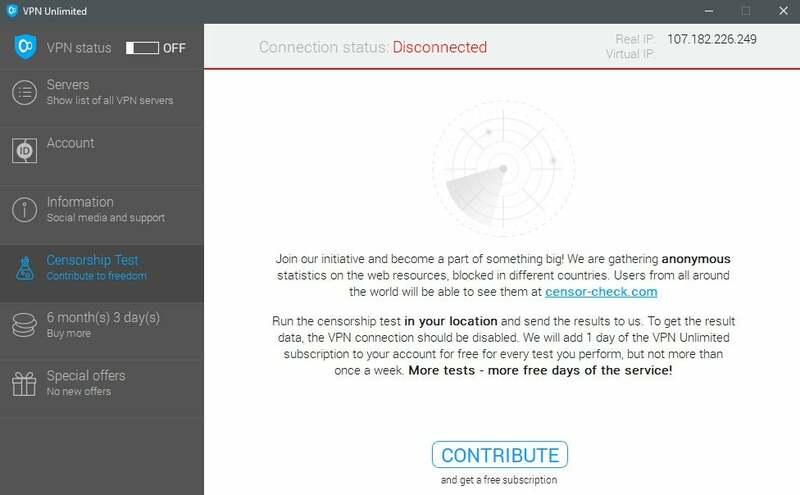 Censorship Test helps KeepSolid build a database about which web resources are blocked in various countries. Anyone who runs the censorship test gets an extra day of service added to their account, and you can run the test once a week to add up to 52 free days of service per year. After that, the left rail offers links to extend your subscription and take advantage of sales offered by KeepSolid. VPN Unlimited isn’t big in the way of features. It doesn’t really have a settings area where you can adjust anything or make special use of your connection. The service does, however, work with U.S. Netflix through the streaming servers out of San Francisco. You’ll find the Streaming option at the top of the server list. Update 2/19/18: VPN Unlimited has since added dedicated streaming servers for Netflix and Hulu in the U.S., and BBC iPlayer in the U.K. These servers are in beta as of this update but are so far working well. VPN Unlimited allows torrents, but only on specified servers. Any server that allows it will have the Torrents label to the right of the server location name. At this writing there were five torrent locations including options in Canada, France, Luxembourg, Romania, and the U.S.
VPN Unlimited offers apps for Windows, Mac, Linux (Debian 8.0 and Ubuntu 14.04+), Android, and iOS. There are also proxy extensions for Chrome and Firefox. VPN Unlimited’s pricing options inside the app. VPN Unlimited has a variety of pricing options. An annual subscription will cost you $50 per year, but there is also a lifetime option. Those are just the options on the company’s website. Inside the app there are also options for a single week, three months, and three years. If you need to use VPN Unlimited on more than five devices simultaneously—VPN Unlimited’s limit—you can also pay to add more. VPN Unlimited’s speeds were not off-the-charts good, but they were much better than expected. Overall, VPN Unlimited maintained an average of nearly 38 percent of the base internet speed after testing five different locations worldwide. That’s pretty good, and while it doesn’t put VPN Unlimited over some of the more speedy services we’ve tested, it’s better than many. In fact, not one score was below 20Mbps and the U.S. connection was nearly 68 percent of the base speed. VPN Unlimited will definitely get the job done if you need a capable connection speed over a VPN. The latter part of that information is used “strictly for technical purposes,” KeepSolid says. For basic information about the user, VPN Unlimited requires an email address, and requires you to verify your email. The email requirement appears to be more about sending you marketing materials for KeepSolid’s other products than identifying you as a user. For payments, you can pay with a credit card, PayPal, Amazon, Bitcoin via Bitpay, or Paymentwall. KeepSolid’s official business address is 3220 Arlington Ave, Suite 5A New York, NY, though the bulk of its work force is in the Ukraine—this is not unusual for tech companies that are founded outside the U.S. The company also has a variety of other people working from remote locations around the world. The company’s CEO and founder is Vasiliy Ivanov. The service’s app could use a little work, such as changing that informational map to an interactive one. 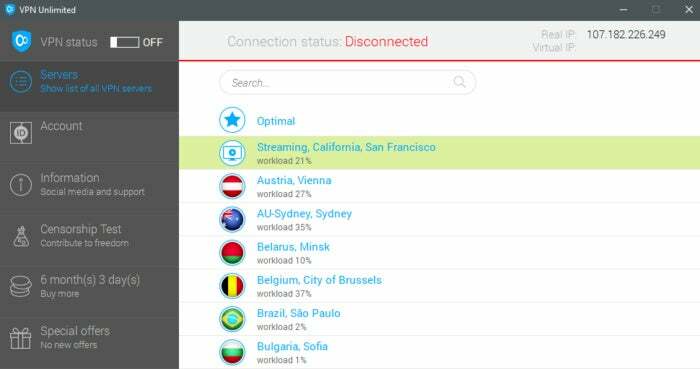 VPN Unlimited’s speeds though, along with its abililty to work with Netflix, and flexible pricing options, make it a service worth looking at, as long as you’re okay with KeepSolid’s data collection.